As weeks turn into months, we are finally ready to make some more announcements. 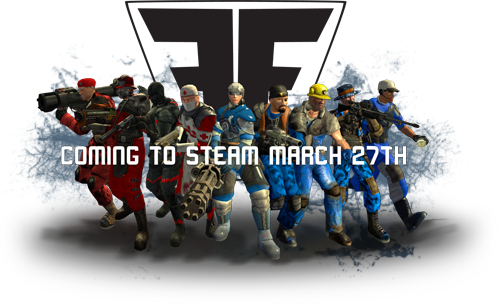 One week from today, Fortress Forever will be available to download (for free) on Steam. The code, scripts, and maps of Fortress Forever are publicly available and open to contributions. Check out the Contributing to Fortress Forever page to see how you can help. fortress-forever.com has been redesigned and updated to be more relevant to the current state of the game. ff_volleyball is a fun little map that needs an aesthetic upgrade before it can be included with the game. Check out this thread for all the details.